Early one morning my friend and I broke camp, hoisted our packs, and hit the trail. Soft light filtered through forests of spruce and birch, and drops of dew glistened like gems on every leaf. Approaching the trailhead, we came to the register—a big ledger inside a wooden box where hikers record their names, addresses, and destinations. I added my particulars to the ledger, listing Algonquin Mountain as our destination, and then we began the long climb to the top. Mountain climbing is one of my favorite activities. No, I haven’t scaled the Alps, the Andes or the Himalaya. I don’t climb with an ice ax or a canister of oxygen—nothing of the sort. Just a daypack filled with the essentials: rain shell, moleskin, map; camera, water, PB&J, and always, a chocolate bar for the top. My climbs are usually in the Adirondacks of upstate NY—these are ancient hills, far older than the upstart Rockies, and they offer a quiet invitation to enter and explore their terrain, and my own state of being. I like to test myself on steep inclines of rock, plodding upwards for hour after hour, in the sun and in the rain, through discomfort and fatigue, until finally the trees clear aside, we step out onto the summit, and gasp in wonder as the world opens up all around, for miles and miles. Some people worship mountains. In fact, a Mishnah from Tractate Hullin (2:8) says that if you slaughter an animal in honor of mountains, hills, seas, rivers or the wilderness, it is not kosher.השוחט לשם הרים לשם גבעות לשם ימים לשם נהרות לשם מדברות שחיטתו פסולה. Ancient people often worshipped nature, and even today, many cross the line between awe and idolatry, seeing nature as itself an object of worship rather than as a blessing from the Creator. I don’t worship the mountains, but I am grateful for the challenges and rewards that they offer. Summits are glamorous, but most of the time hiking is spent on the trail, carefully picking one’s way over rocks and fallen trees, squishing through mud, slipping on pebbles, and periodically leaping like a goat from boulder to boulder. It’s good to know when you’re on the right path. But life doesn’t always provide us with such clear markers. We often stumble and worry about the trajectories of our lives: Our health; our relationships; our careers; our soul. There are so many steps, and so many decisions to be made, that we inevitably experience doubt—did I do the right thing? Was I too hasty? Did I miss something? Can I still turn back? Am I good enough? How can I be sure? When will I get there? Often there is no clear answer to these great questions. Our journeys continue to present us with uncertain choices, and as we make big decisions, we can feel alone and increasingly anxious. But we need not feel alone. One reason that we each made our way to this room today, instead of sitting in front of a glowing screen with Rabbi Google, is to create community and seek strength from each other. We are together with fellow hikers, each on our own journey, but we are here together now, at the metaphorical mountaintop. Rosh Hashanah is a peak experience—a summit that we have climbed for the past year. It has been a lot of effort, and we have a long way back down. But right now, let’s take these precious hours on the peak, and use them to look around. There are mountains on our mind each Rosh HaShanah. Tomorrow we will read about the fateful climb of Abraham and Isaac up Mount Moriah, with its ambiguous coda, בהר ה’ יראה, on the mount of Adonai there is vision. We will try to understand what that vision was for each of the climbers, and what it means to us, their distant descendants. My most recent climb up Algonquin was exactly one month ago, and it was Rosh Hodesh Elul, so I added one extra item to my pack. When we finally reached the summit, the temperature dropped and a mighty wind began to howl. I put on every item of clothing, and standing on the summit, pulled the shofar out of my pack and gave it my best tekiah, shevarim, teruah tekiah. Somehow, I wanted to connect my climb to theirs, so that I could also experience a vision of spiritual life from this physical summit. In the Shofarot section of Musaf, images of mountains abound: God speaking to Israel from ראש ההר, the top of the mountain. And we anticipate the day when all of Israel will again worship God בהר הקודש בירושלים, on the Holy Mountain in Jerusalem. Mountains are metaphors for the expansion of vision on יום הדין, the Day of Judgment, when God is enthroned on high, המלך יושב על כסא רם ונשא. But we are not only judged today—we are also judges of ourselves and of each other. We are invited today to climb the heights, to reach for ראש ההר, the mountaintop, and to take in the view, the vision, of what our life is, and what it could yet become. Up on the summit, strange things can happen. People can be at their best or at their worst. This past April, things got pretty nutty up on Mount Everest. There was congestion getting to the summit, and three European solo climbers tried to climb around the bottleneck. This violated an agreement, and so angered the sherpas that one of them reportedly threatened the climbers with an ice ax. The climbers had to escape down the mountain, and this became an international news story. Many feel that the Everest experience has been stripped of its spiritual aspect by the egotistical and expensive expeditions that now dominate the mountain. Eager to achieve their personal goals, some climbers will stop at nothing to get their way. On the other hand, we read stories like that of Nadav Ben Yehudah, a young Israeli who was poised to summit Everest two years ago when he looked down and noticed a Turkish climber collapsed in the snow. The two had met briefly in the camp, but now Nadav was 300 meters from the summit, while the Turk, Aydin Irmak, was dying. Nadav had already passed the bodies of dead climbers, which are left on the mountain as people step over them on their way to the top. But, in an instant, Nadav abandoned his quest for the summit, removed his mittens and dragged Aydin Irmak down to base camp, saving his friend’s life, but getting frostbite in his fingers. I wonder about what Nadav saw at that moment. Perhaps he looked yearningly one last time at his goal—to reach the top of the world!—and then looked down again and realized what was truly valuable–to save a human life! Perhaps I have been misreading the verse from Mount Moriah all these years. It is not, בהר ה’ יראה, on the mount of Adonai there is vision, but rather, בהר: ה’ יראה, on the mountain, you can see God. Nadav Ben Yehudah saw in the face of his dying friend the compelling presence of God. He acted heroically in that instant, and now he is an example to all of us about when to set aside selfish motives in order to rescue another person. You and I may not be faced with such stark decisions this year, but make no mistake, we do have to decide every day what kind of a person we are going to be. What’s will be our priority—to get what we want, no matter what it takes, or to get there with integrity, helping others along the way, and making our peak experiences moments of goodness, of compassion and of loyalty? 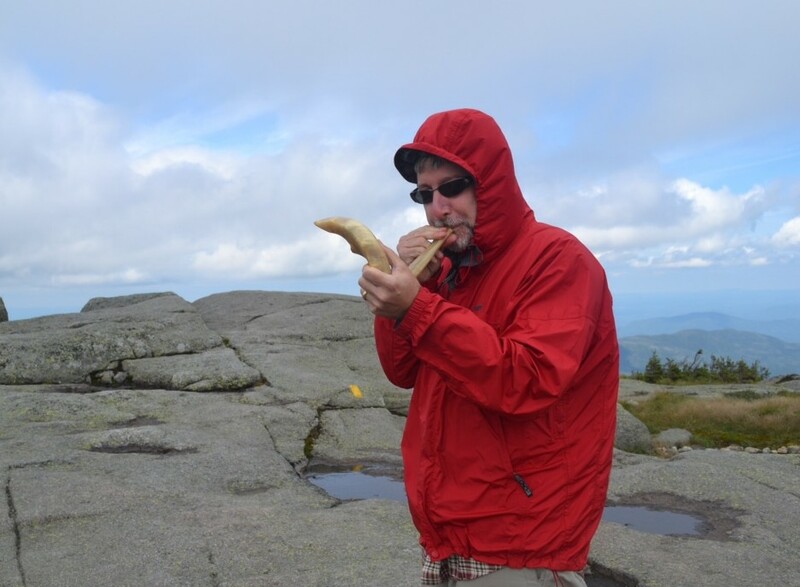 We are not on a physical mountaintop today, but Rosh HaShanah is a spiritual summit. It is a time to pause in our climb and to look around and within, to take an inventory of our assets, to see who else is with us, to note what is needed, to acknowledge where we have stumbled, and then, after resting a bit, to set out again on a new year’s journey. השנה means the year, but it can also mean the change, שנוי. If so, then Rosh Hashanah may mean the beginning of change. What shall we change today? On what path are we going to travel, and what signs will mark our journey? Judaism has a system of trail markers that we call the הלכה. This refers to the way we walk through the world with God. Halakhah guides us in our relationship with God and in our relationship with each other. What can halakhah teach us about improving these relationships today? First, let’s think about our relationships with other people. Do we show our appreciation often enough? I certainly don’t. If someone does something well, I sometimes think, that must have been easy for them. No big deal. And if they struggle? Sometime I catch myself wondering whether they are really trying hard enough. It’s not right, not fair or generous, I know, but sometimes I feel that way, and show it on my face. I need to work on this. How about you? What can you do to improve your relationships? Rambam says in הלכות דעות that if we notice a character flaw in ourselves, we should practice its opposite until we have repaired our character. Let’s take a quick moment now and picture a person we want to contact this week, to work on our relationship, to help them, and to help ourselves become a kinder and more compassionate person. Now let’s think a bit about our relationship with God. It’s not enough to be nice to other people. Our tradition also wants each of us each to have some private time with God. This is the world of rituals—of prayer, and mitzvot. Each time we do one of these special actions, we bind ourselves a little closer to God. We say, אשר קדשנו במצותיו, God makes us holy through the mitzvot. But when we turn away from mitzvot, then our relationship suffers. It’s that simple, really. You can’t have a good relationship without demonstrating its value. Every mitzvah, by every person, counts. So, pick one for this week, make it yours, and see what happens. I know, there are many mitzvot. Where to begin? Will it ever be enough? Sometimes it seems like God wants an awful lot of our attention. Prayers every day, blessings at every meal! Shabbat every week, and of course, holidays and then more holidays—it’s a lot to ask! Don’t get discouraged. Every mitzvah counts. Just give it a try. Whatever mitzvah you want, give it a try. This week, before Yom Kippur, find some ritual that you don’t normally do, or that you do perfunctorily, and give it a try. And let’s help each other out—to get up the hill, to climb to the top and make ourselves just a little bit kinder, more dedicated, and more worthy. So, go ahead, take a minute now and think of a mitzvah you want to try out this week. There, you have two new good deeds, now make them your own, and put them in your pack for the next hike of your life. One of my favorite books this past year was called Mountains of the Mind, by Robert Macfarlane. He talks about the power that mountains can exert on people, drawing them to endanger themselves, but also allowing them to reconceive the meaning of their lives. We too are engaged during these days of awe in an exploration of mountains of the mind. Actually, they are mountains of the spirit. We look at the realities of our lives—our relationships, our habits, and our character—and we scrutinize their peaks and valleys. We look back along the path to what led us to this point, and we try to choose a destination which is just a little bit more meaningful, more enjoyable, and more worthy. As with physical mountains, it takes planning, and perseverance, and strength and a bit of good luck to achieve our loftier goals. So let us be strong and of good courage. This task is not beyond your grasp. As we end one year and begin yet another, we say to each other, חזק, חזק ונתחזק, let us be strong, and stronger, and give strength to one another! A trail lies before us, promising adventures, accomplishments, and challenges in the year ahead. A register book is open, waiting for us to inscribe in it our names and destinations. Let’s pause and think awhile before we start this journey. What will we write in its pages? Where will our decisions today lead us in the new year? Think big. And then think small: choose two tasks for the week ahead; two tools to put in your pack, to help you on your journey. Make a mental note, and then start walking. The path is long, but a great view awaits you at the top. Have a chocolate bar, or at least some honey cake, and enjoy a sweet new year. כתיבה וחתימה טובה—may we all be written and sealed for a year of good life and peace. This entry was posted in Divrei Torah, Sermons on September 7, 2013 by Rabbi Danny Nevins.